The beauty of poker is that the game pits players against one another, rather than the house, in an extended game of skill. But after a long session spent going deep in a tournament, or competing against cash game regulars, many poker players enjoy the diversion offered by casino games. While casino games carry a house edge which players must overcome to turn a consistent profit, they often offer more in terms of pure entertainment value when compared to poker. After all, you don’t need to set your poker face in stone while taking on the dealer during a few hands of blackjack. For the majority of poker players, both live and online, sitting down to play table games provides a chance to blow off steam and let loose after hours of intense concentration on the felt. For this reason, exercising sound management of your poker bankroll before a trip to the pits can prove to be an extremely important aspect of your game. It is crucial to keep in mind that your poker bankroll represents your lifeblood, or that which sustains every trip to the casino floor because, while casino games are a fun way to pass the time, for experienced playerspoker scan provide the most reliable method of making money. In fact, as the New York Times documented at the time, a federal judge ruled in 2012 that poker was a game of skill, and much of his reasoning was based on the consistent earning power demonstrated by professional poker players. If you take the game seriously and work to consistently sharpen your skills, a poker bankroll can be like a well-tended garden – growing or wilting depending on the amount of work you put in. And just like a garden, your poker bankroll can provide a plentiful bounty, but only if you resist the urge to pull too much out at any given time. The relationship between your poker bankroll and casino games can become quite clear after just a single losing session in the pits. If you’re not careful, a bad run of cards at the blackjack table can quickly erase weeks worth of investment and improvement in your poker game. However, part of managing your poker bankroll is deploying it strategically, and as many savvy players have proven throughout in the blackjack hall of fame, this particular game can be a great way to have fun and pad your bankroll in relatively short order. Blackjack can be analyzed and dissected on a mathematical level, and as independent researcher N. Richard Werthamer demonstrated in his 2005 study Optimal Betting in Casino Blackjack, the house edge of 2.0% for average players can be lowered to 0.5% when you play according to basic strategy. The analytical aspect makes the game a favorite for poker players who already specialize in this skill, and the extremely low house edge gives savvy players a puncher’s chance at a big payday. 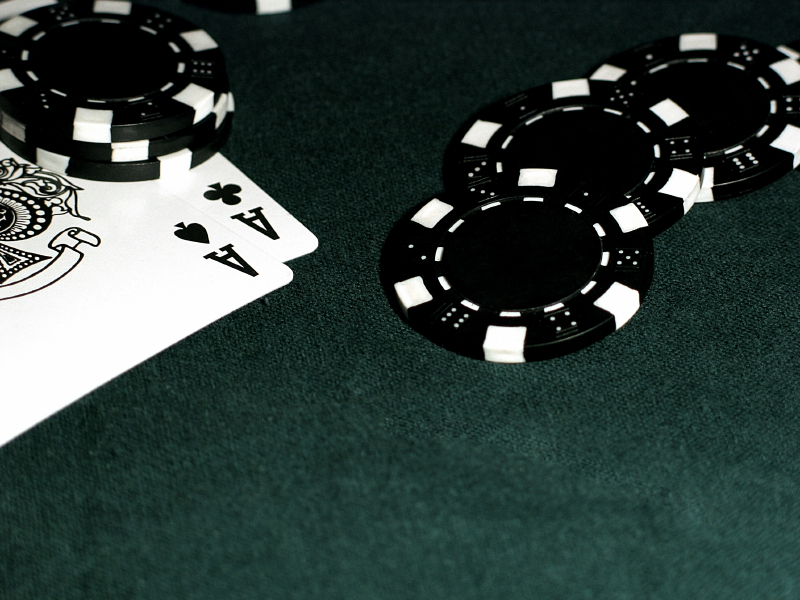 By managing your poker bankroll closely, you can easily budget for a buy-in or two at your preferred blackjack stakes. The key here is discipline, though, as blackjack, like most casino games, provides players with a fast and furious pace. Following a long day spent enduring tanks on the tournament floor, this rush of hands to assess and decisions to make can be refreshing for poker players, but losses can quickly mount on a day when the deck isn’t on your side. When you’ve managed your poker bankroll to perfection, you’ll always know exactly when to call it a day, making the prudent choice to step away from table games and return your focus to the poker table. Managing your poker bankroll isn’t all about reducing losses, though, as the point of deploying your precious funds to a casino game is to turn a quick profit whenever possible. 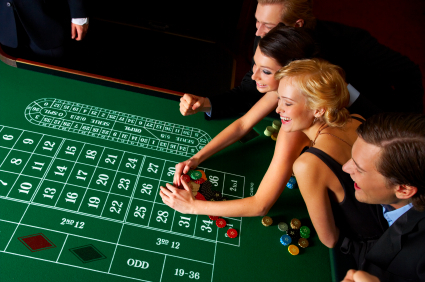 Games like roulette offer a steep ratio of risk and reward, and in fact the house edge of 5.3% on this game ranks as the highest of all table games. The house edge for roulette, and all major casino games, was described in a comprehensive house edge table published by casino mathematics expert Robert Hannum, as part of a 2012 study for the University of Nevada Las Vegas (UNLV) Center for Gaming Research. So, while you shouldn’t spend too much time spinning the wheel, roulette tables have provided the setting for some of the most storied payouts in gambling history. A great way to manage your poker bankroll while getting in a few spins – and with them, shots at a huge potential payout on your wager – is to set clear profit targets while playing poker. For example, suppose you hit the cash game tables and plan to triple your initial buy-in of $200 throughout the day. On occasions when you cash out for a little more, let’s say $625 in this case, using the extra $25 for a big roulette bet can provide a tremendous sweat. Sure, there’s a chance you’ll see that green chip swept up by the dealer, but when you do hit your number exactly the payout will never fail to please. And on days when you fail to exceed your target goal, simply stroll past the roulette table without a second thought, as your poker bankroll simply can’t sustain the expense. Poker is a game which appeals to all segments of society, from paupers to Presidents and everyone in between, and as such the game has become engrained in popular culture. But, as Greek-born American gambler Archie Karas demonstrated over the years, managing your poker bankroll can often prove more difficult than building one in the first place. In the 1980s and 1990s Karas amassed more than $2 million playing high-stakes poker, but by 1992 he had lost everything and held just $50 to his name. That year, Karas went on a legendary streak now known as “The Run,” and in the course of just two years he built a poker bankroll of nearly $40 million by defeating poker luminaries like Stu Ungar, Chip Reese, Doyle Brunson, Puggy Pearson, and Johnny Moss. Despite holding all of the $5,000 chips produced by the Binion’s Horseshoe casino at one point, Karas eventually lost every penny of his poker bankroll. His downfall? High-variance casino games like craps and baccarat, along with a compulsive gambling habit which would not allow him to quit. The lesson? Take care to manage your poker bankroll while playing casino games. Rolling dice and doubling down can be invigorating, especially for poker players, but the name of the game should always be discipline. By never overextending your poker bankroll on table game excursions, you’ll always be capable of replenishing your funds on the felt, where skilled play is rewarded over the long run.